Adding externals to the organization is similar to users with other roles. When selecting "Invite new member", the option "External" is selected and then the desired users are invited by entering their e-mail addresses. For each external, a half user will be deducted from your paid subscription plan. 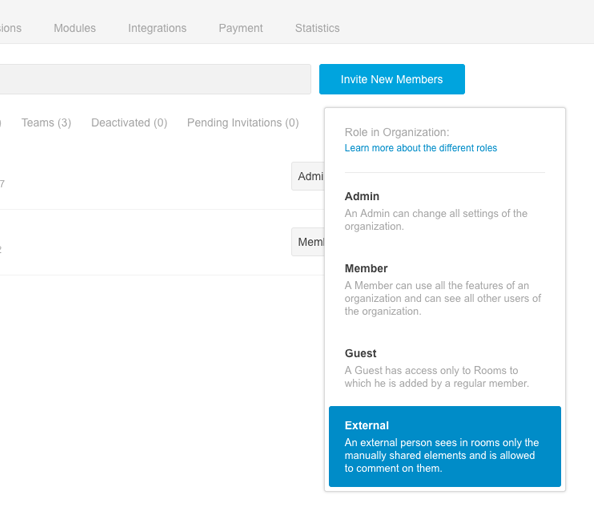 Just as the process of adding an External to the organization, adding them to rooms follows the same process as adding Admins, Members, or Guests. What do Externals see in a Room? Externals can only see the elements of a room that have been shared with them. If an item, such as a task or document, should be visible to Externals, it must be shard by an authorized user first. If an element has been shared, it will be visible to all Externals of the room and can be commented on by them. In addition, it is also possible for Externals to upload files to these shared elements. The communication module is not visible to Externals. 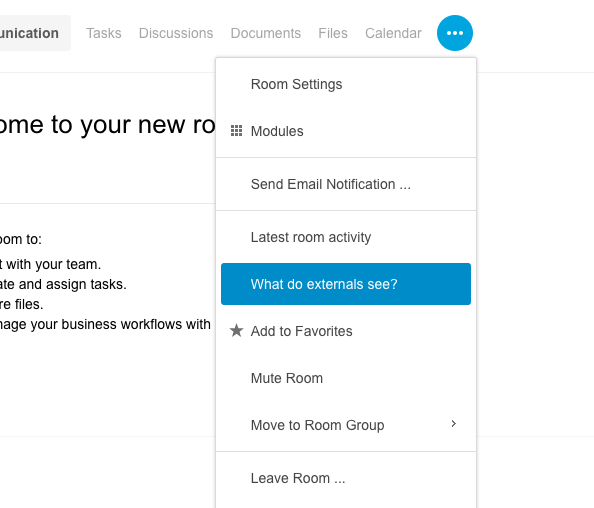 To get an overview of the shared contents of a room, click on the "More" button at the top of the room and then choose the option "What do externals see?". How do I share elements with Externals? Once an External has been added to a room, the elements that can be shared will show a button that displays the current status of it. 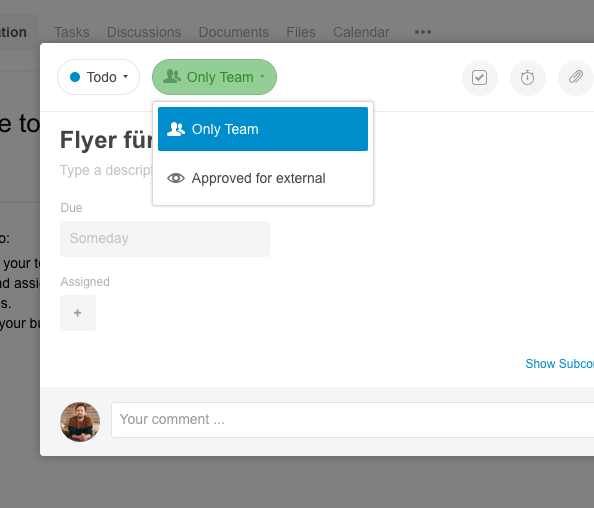 By default, elements are visible for "Team Only". External users have no access those elements. By clicking on this button, you can the elements with Externals. If the element should no longer be available for Externals the same button can be used to hide the element from them.